Important messages ??? — . :: GSA SEO & Marketing Forum ::. 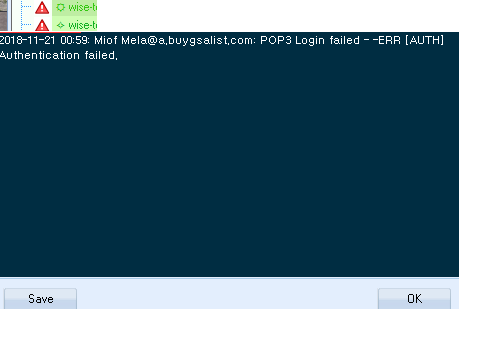 2018-11-21 00:59: Miof Mela@a.buygsalist.com: POP3 Login failed - -ERR [AUTH] Authentication failed. hard to say, probably you need to login manually on the web and check there. I means gsa ser could not login to the mail account, this could be because of a connection issue, such as when you are using proxies or it could be there is a network issue at the mail server or your ip is banned at the mail server. Open the project, go to mail tab and test all, if some fail, then test the ones that failed again. if all fail then contact me with your IP address, i will tell you if there is a server issue or a firewall issue. This week there was 2 network events at our Dallas data centre, first was on Monday 19th and the 2nd one was for about 2 hours on 22 Nov.